A college student from Westchester County at the center of a suspected hazing case at the University of Buffalo has died, authorities said Wednesday. Sebastian Serafin-Bazan, an 18-year-old freshman from Port Chester, was taken to a hospital early last Friday with a "serious medical condition believed to have resulted from the incident" at an off-campus house associated with the Sigma Pi fraternity, Buffalo police said. He died five days later, on Wednesday. "Our hearts go out to Sebastian’s family for the devastating heartbreak they are experiencing," University of Buffalo President Satish Tripathi said in a statement. "As we grieve Sebastian’s passing today and well beyond, it is my hope that each of us pauses to remind ourselves that we can only uphold our humanity by treating each other with dignity, compassion, and kindness." 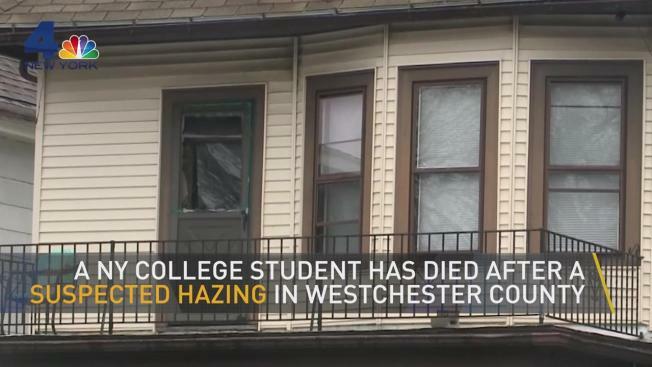 NBC affiliate WGRZ previously reported Serafin-Bazan went into cardiac arrest after an alleged hazing incident at an off-campus Sigma Pi house and was found unconscious on the front lawn. 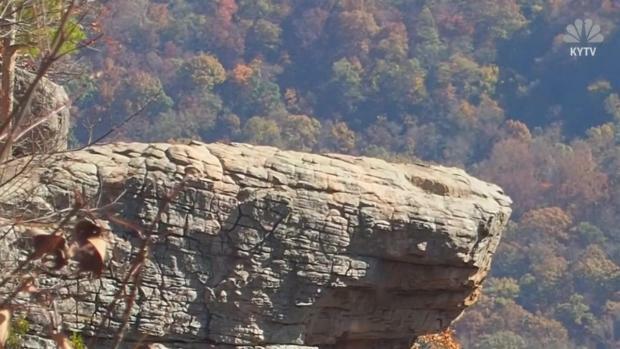 Officials in Newton County, Arkansas, are urging visitors to a popular hiking spot to be careful after witnesses say a 20-year-old woman re-positioned herself for a photo and slipped, falling 100 feet to her death. KYTV's Caitlin Sinett reports. Details on what may have happened weren't immediately clear; neighbors told WGRZ the fraternity had hosted a party at the house hours earlier. The affiliate also said initial reports indicated no drugs or alcohol in Serafin-Bazan's system, but that police weren't ruling it out. WGRZ also said, citing two police sources, the student had recently been treated for a respiratory ailment, possibly the flu. A cause of death remains under investigation. The University of Buffalo immediately suspended all official activities of fraternities and sororities as authorities launched an aggressive investigation. The suspension is expected to last at least until the fall semester begins and an internal review of each Greek organization has been completed. In a statement the afternoon the student was hospitalized, Tripathi said, "As the investigation into this very serious matter continues, let me reiterate that our university has zero tolerance for hazing. Not only are hazing incidents a violation of our university policies, but they are also crimes." There was no immediate information on anticipated charges or arrests.